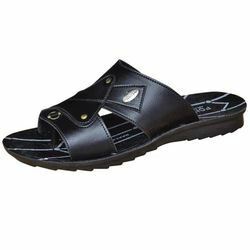 Providing you the best range of poddar pu mens office footwear, poddar pvc men footwear, poddar pvc men's formal slipper and gents casual footwear with effective & timely delivery. We are the Leading Supplier, Manufacturer and Exporter of PU Mens Office Slipper, Gents Trendy Slipper, Fashionable Gents Slipper, Comfortable Gents Slippers, Brown And Black Gents Slipper, Creating a niche of Mens office Footwear such as Polyurethane Footwear Mens PU Sandal, Designer Men Footwear, Trendy Men Footwear, Stylish Men Footwear and Mens Chappal at its best, with utmost quality. 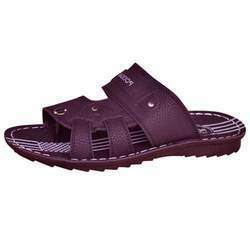 We are the Leading Supplier, Manufacturer and Exporter ofPU Mens Office Footwear, Brown Slippers, Stylish Gents Slippers, Fashion PU Slipper, Fancy Slipper, PU Men Slipper, Gents Trendy Slipper, Fashionable Gents Slipper, Comfortable Gents Slippers, Brown And Black Gents Slipper, Creating a niche of Men Footwear such as Polyurethane Footwear Mens PU Sandal, Designer Men Footwear, Trendy Men Footwear, Stylish Men Footwear and Mens Chappal at its best, with utmost quality. Men Footwear is manufactured, exported and supplied by us in numerous sizes, designs and colors to fulfill the diverse client requirements. Proffered selection is manufactured in adherence to the latest market trends. Lightweight and extremely comfortable, these slippers are widely recognized for their strength, ease of cleanliness and high skin-friendliness. 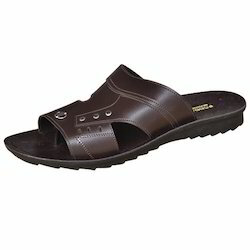 We are the Leading Supplier, Manufacturer and Exporter of Mens Slipper, Brown Slippers, Stylish Gents Slippers, Fashion PU Slipper, Fancy Slipper, PU Men Slipper, Gents Trendy Slipper, Fashionable Gents Slipper, Comfortable Gents Slippers, Brown And Black Gents Slipper, Creating a niche of Men Footwear such as Polyurethane Footwear Mens PU Sandal, Designer Men Footwear, Trendy Men Footwear, Stylish Men Footwear and Mens Chappal at its best, with utmost quality.